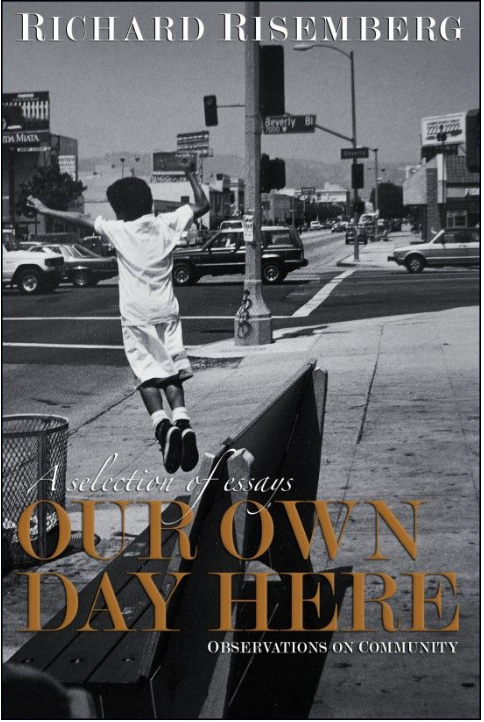 Our Own Day Here is a fine collection of essays, thoughts expressed in concise, passionate, quotable prose. This book is clearly the work of someone who takes the time to truly experience a place and taken the time to get to know people. There is a lot of love for city places in these pages and a fair bit of rage directed at a society that often places cars and corporations ahead of people. While I enjoyed every essay and found food for thought on virtually every page, a few of the essays would perhaps fit better in another book. I loved the recounting of a bike tour and the humorous misadventures with various sailing companions, but I'm not sure these tales added to the work as a whole. Kind of like adding raisins to a chocolate-chip cookie, sometimes not everything should go in one batch! But the book is well worth its price and your time.The essay on graffiti and songbirds is just terrific and the late night and early morning walks are recounted so well you not only see and hear them, you damn near smell and taste them. Richard Risemberg has looked closely at his city and his words will make you look much closer at yours.